Superdry men's Vintage Destroy patch polo shirt. A classic polo shirt in a vintage wash featuring double button fastening and a variety of badges on the chest and sleeves. 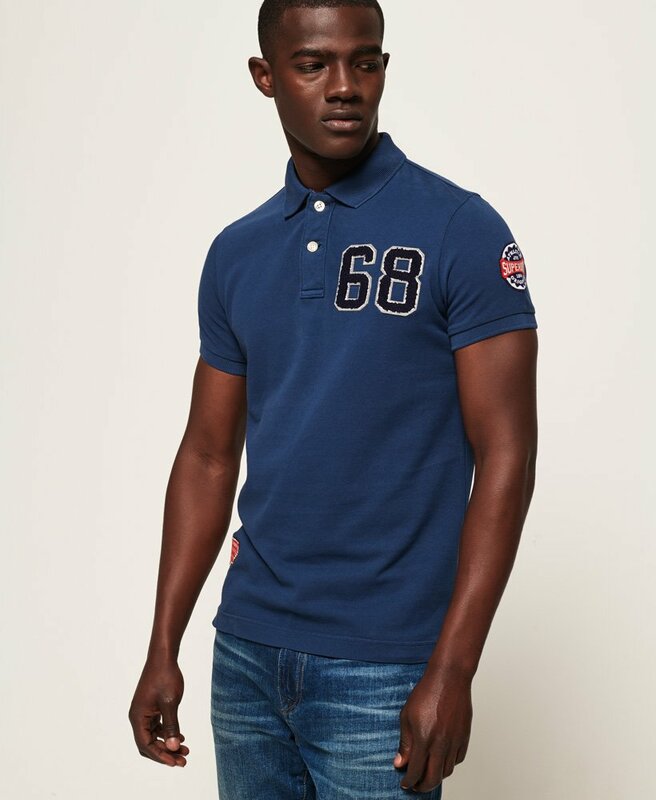 The polo shirt also features split side seams with reinforcements and is finished with a Superdry logo tab under the collar.